Since 1993, D. Glen Alexander has been successfully managing, leasing and selling commercial and residential properties for clients in the state of Missouri and Florida. Mr. Alexander has had the privilege of representing a wide range of clients from local, regional, national and institutional investors and owners. His ability to professionally develop and maintain personal relationships with his clients has enabled him to effectively serve his clients' needs. Mr. Alexander has directed the overall success of Strategic Realty Services, LLC along with his partners since its inception in 2004. He oversees the company operations and its management division, and actively assists his clients with their leasing and brokerage needs. 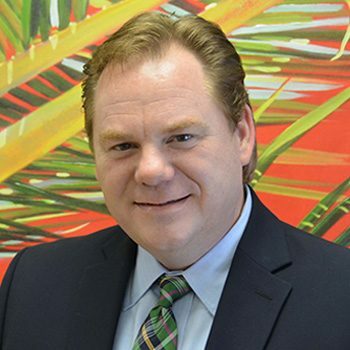 His past professional experience includes serving as Senior Vice President for a local commercial real estate firm in West Palm Beach, Florida; serving as Real Estate Manager for a family operated development company in Palm Beach, Florida; and serving as Property & Leasing Manager for a local commercial real estate firm in Springfield, Missouri. Mr. Alexander holds a Bachelor of Science degree in Business Administration from Southwest Baptist University and holds the Certified Property Manager® designation from the Institute of Real Estate Management. Mr. Alexander is a member of the International Council of Shopping Centers (ICSC), Building Owners & Managers Association (BOMA), Institute of Real Estate Management (IREM), and Urban Land Institute (ULI). He is a multi- year recipient of the CoStar Power Broker Award and was named the Certified Property Manager® of the Year by the local IREM chapter. He is involved with various civic and professional organizations through volunteering and serving on board positions. Mr. Alexander resides in Hobe Sound, Florida with his wife Tamara, and their three children, Madison, Macaylan and Miranda.